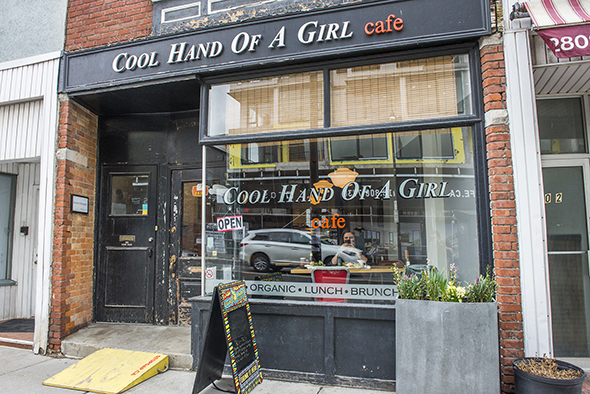 Cool Hand Of A Girl is a humble cafe in the Junction dishing out authentic Mexican breakfast and lunch dishes. Owner Lucia Maceda has a strong passion about serving strictly homemade food sourced locally and (if possible) all organic. 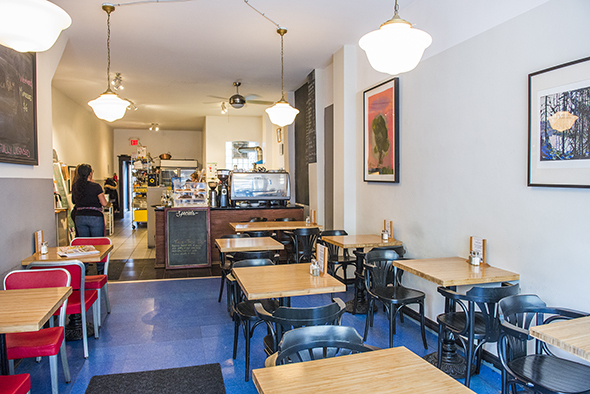 The space reminds me of a cafe version of your local watering-hole, with minimum decor - the main focus is the large chalkboard listing drink choices, and wood tables and mismatched chairs filling up the room. The menu boasts meat, vegetarian, vegan, dairy-free and gluten-free options, all with an authentic Mexican flare to them. 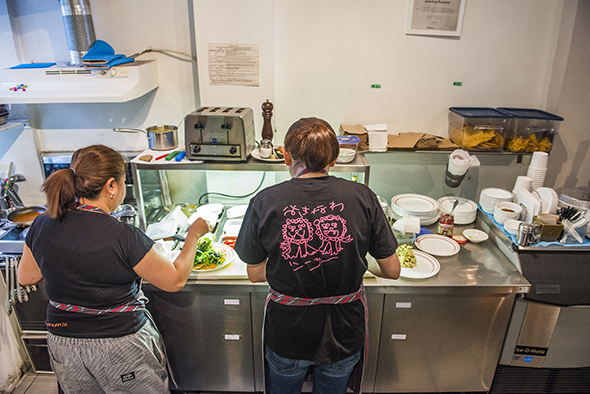 While the menu doesn't offer a huge number of options, Maceda focuses on quality over quantity and it shows. 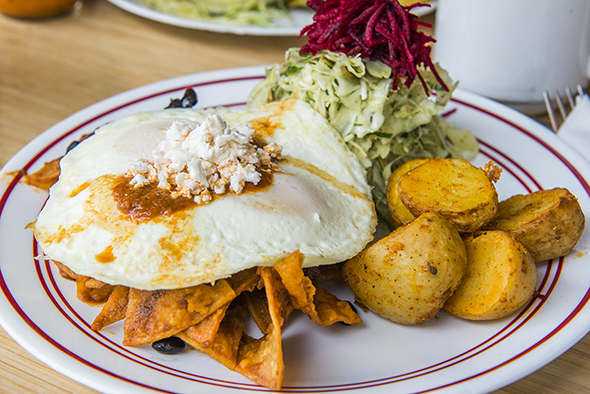 The chilaquiles ($16), a Mexican hangover remedy, is the most popular breakfast item. Corn chips tossed in adobo sauce with black beans, topped with two over-easy eggs and cheddar, served with a side of cool hand slaw and roasted potatoes is in fact, as good as it sounds. The portion is huge, and with or without the hangover, the dish is a must-have. 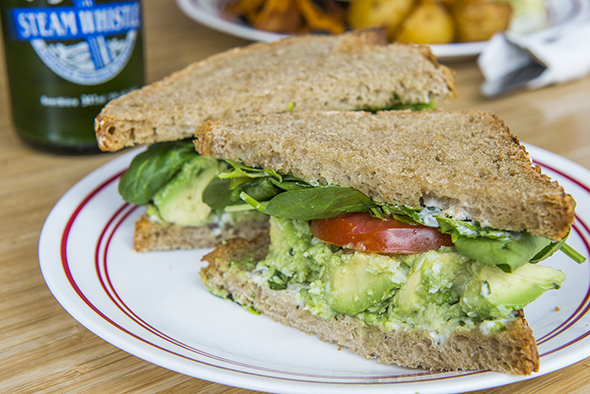 Next up, we try the avocado parmesan sandwich ($15). Stuffed with thick pieces of avocado, parmesan, lemon pepper dressing, tomato, fresh basil, greens and vegenaise, it tastes like an Italian/Mexican blend. Its essentially a guacamole parmesan sandwich, and there are no complaints over here. 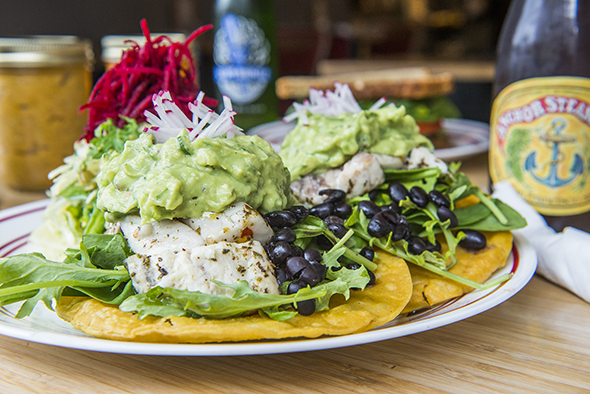 A speciality menu item, the fish tostadas come with two fresh, corn tostadas topped with generous amounts of barramundi (source locally from Honest Weight ), lots of mashed avocado, fresh greens and served with hot sauce and a tower of cool hand slaw. Not only are the dishes all homemade, but so is the apple chutney and mild and spicy hot sauces that are served with most dishes. 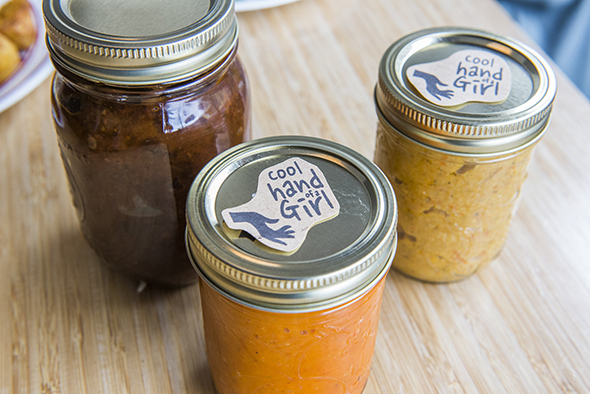 Mason jars filled with each can be bought separately- apply chutney ($6), mild hot sauce (jalapeno peppers- $8) and spicy hot sauce (habanero peppers- $8). Other items featured on the menu are an all-day breakfast, braised tofu (a top-seller), tarragon chicken, a lunch salad and daily soup options- everyday theres both a chicken broth base and a vegan option. 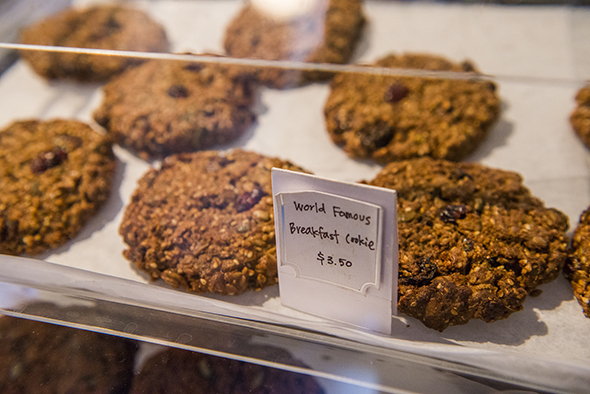 To keep your sweet tooth satisfied, there's an array of freshly baked goods daily like the homemade loaf ($3.50), a lavender brownie ($3.75) or a breakfast cookie ($3.50). The drink menu features classic cafe beverages like both hot and iced-espresso based drinks ($2.50-5.75), fresh juices ($6) and smoothies ($8). But if you're stopping by for lunch and in need of something a little stronger- you're in luck. There's 4 beers on tap, bottled beer and wine and red wine options by glass or bottle.